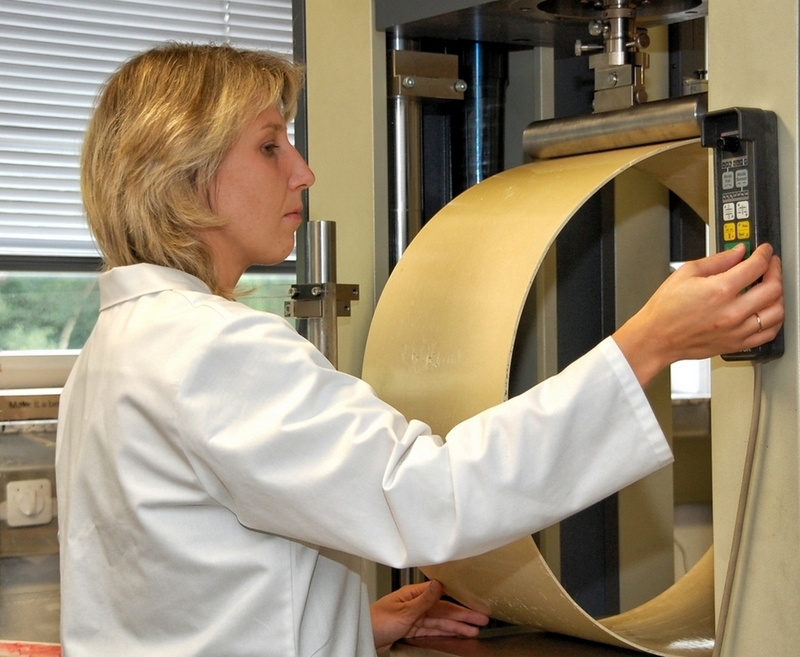 The IKT test centre is accredited in accordance with European/ISO Standards (DIN EN ISO/IEC 17025) for selected mechanical/technological tests on polymeric components used in pipe/CIPP liner systems and samples of GRP laminates. 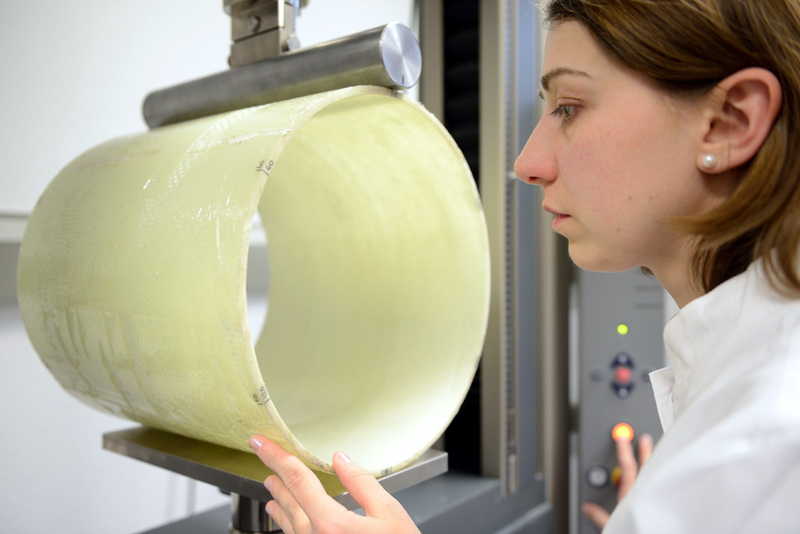 It is designated by the German Institute for Construction Technology (DIBt) as a test centre for elastomeric seals for use in waste-water sewers and pipelines. 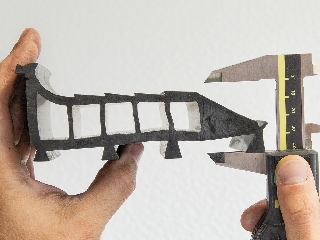 It is also a recognised supervisory body for CIPP liners and glass-fibre-reinforced plastic (GRP) short-liners. 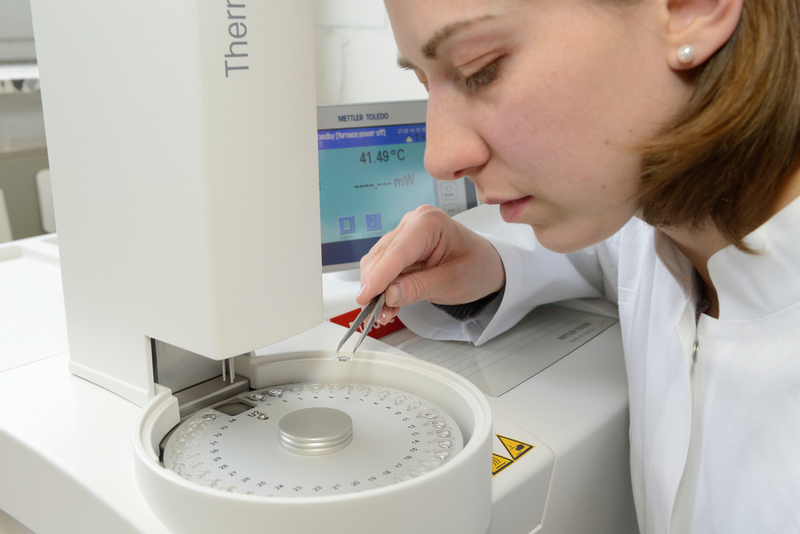 Differential scanning calorimetry (DSC) is a procedure for the determination of the thermal properties of polymers and polymer blends (thermoplastics, thermosets, elastomers). 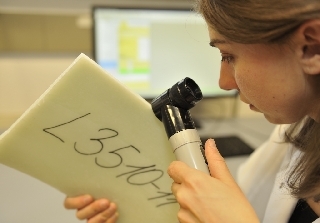 DSC analysis is used at IKT primarily for the determination of the glass-transition temperatures of epoxy resins. The density of a plastic material indicates whether air bubbles (for example) are present as a result of errors during the production, blending and/or processing of a plastic. Density is determined using the immersion method. 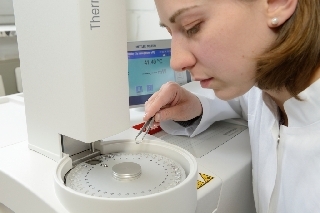 The test sample is weighed on high-precision analytical scales. 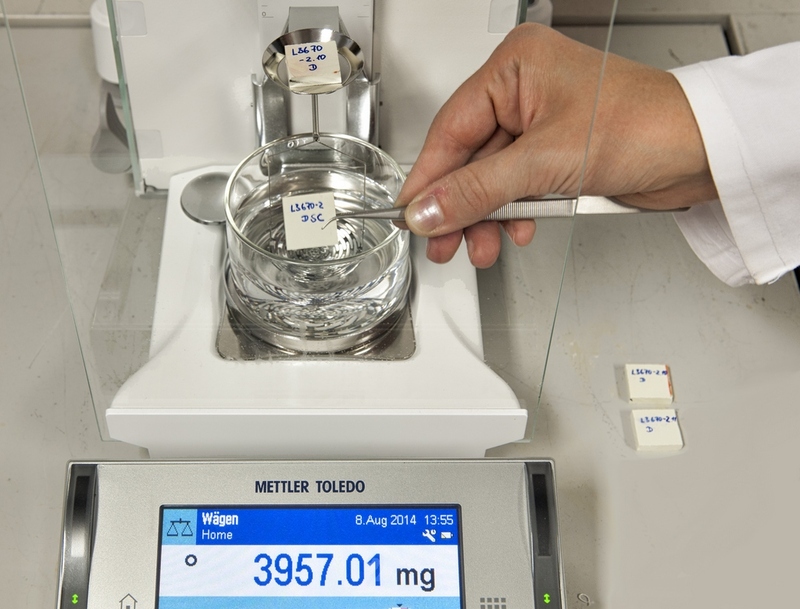 The sample is then immersed in a prescribed liquid and weighed again. 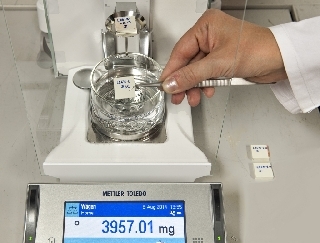 The density of the sample can then be determined from the results of the two weighing operations and the density of the prescribed liquid. 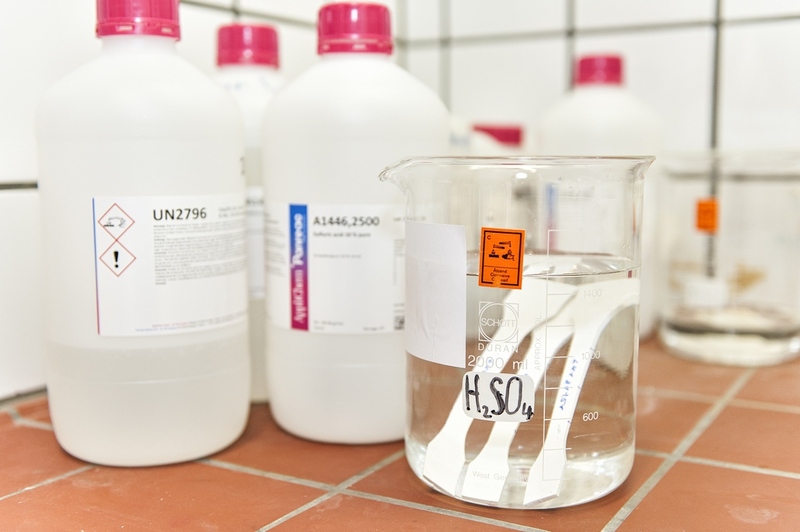 Plastics used in waste-water pipes must be able to withstand aggressive fluids. 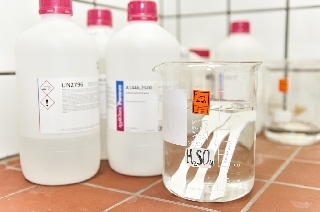 Test objects are exposed in relevant test fluids for 28, 90 or 180 days. Tensile strength, elongation at rupture and impact strength are then measured. 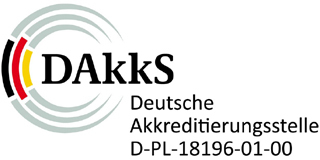 Determination of sealing width, contact-pressure distribution and maximum deformation, in accordance with European Standard: DIN EN 1916. Determination of compression set (ISO 815, Part 1). Tensile tests are used, for example, in the validation of the chemical resistance of plastics, since the results of this test disclose even extremely small changes in the material. 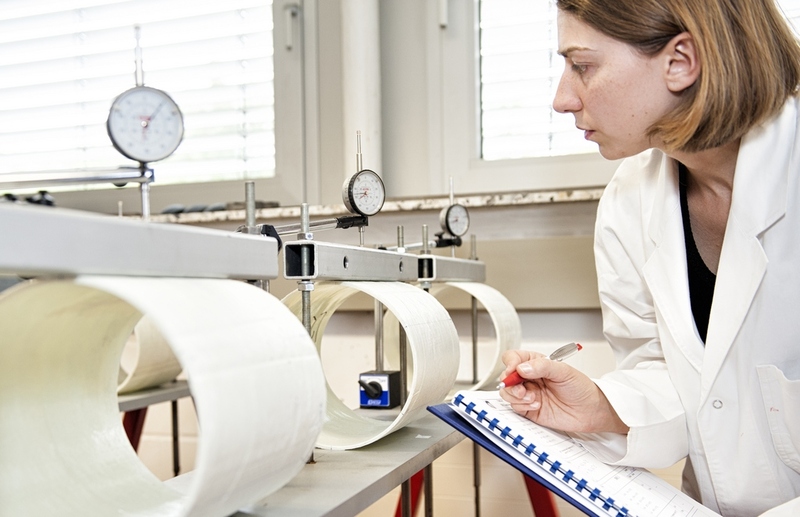 It is also possible to determine the elastic modulus of a plastic material. 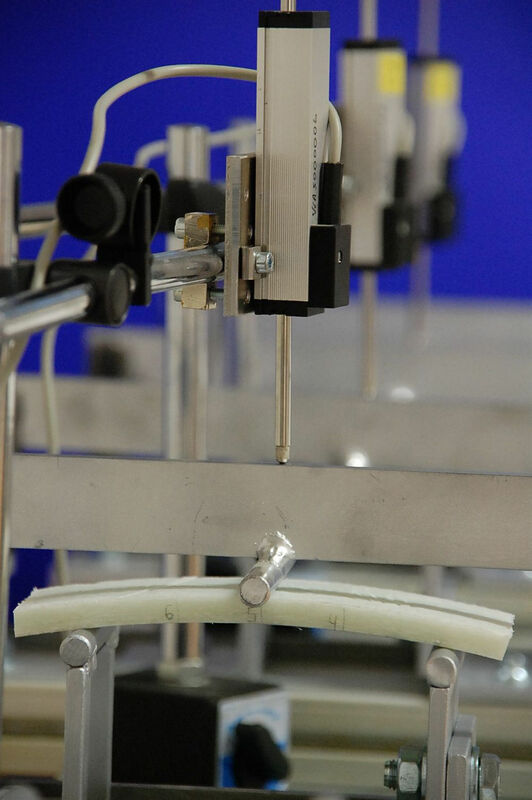 The three-point bending test is used to determine the flexural properties of a sample of plastic. The elongation (deformation) of a plastic exposed to a constant force becomes ever greater with time. This phenomenon is known as creep behaviour. 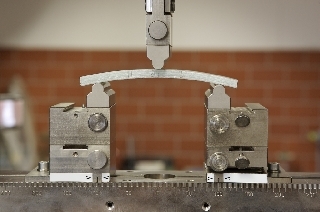 Creep behaviour can be determined by performing a three-point bending test on small samples of the plastic. 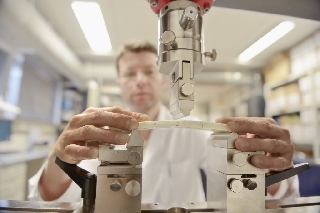 Precise knowledge of creep behaviour is important for the design of plastic structures. Plastic pipes are exposed to continuous stresses imposed (for example) by groundwater and soil loads. The deformation of a plastic pipe under exposure to a constant load becomes ever greater with time. This phenomenon is known as creep behaviour. Creep behaviour is taken into account in structural-analysis calculations (design) using the long-term characteristics (fifty years) for the modulus of elasticity. 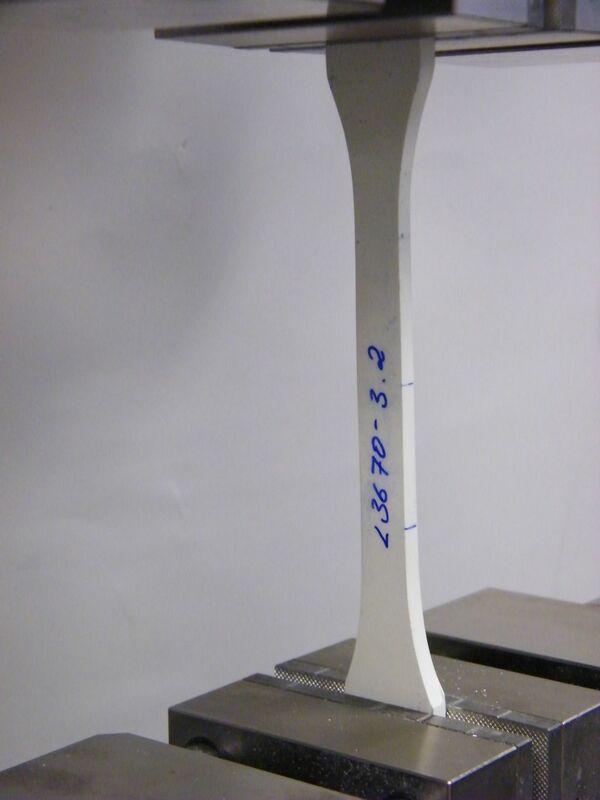 This long-term modulus of elasticity is determined by means of extrapolation from the results of the 10,000 h test. The test: Application of a constant load and measurement of pipe deformation across time (up to 10,000 h). Extrapolation to 50 years.